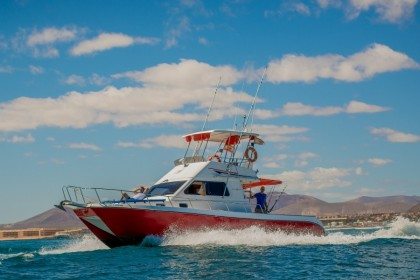 Many people believe that fishing in Fuerteventura is the best in the Canary Islands. 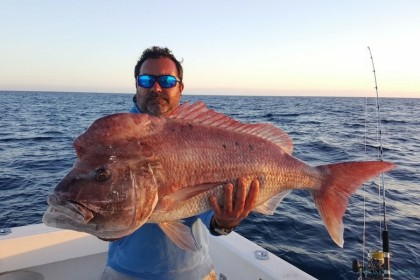 There is no need to go very far to find waters of 1.000m in depth, and, to the west of the island there are areas with up to 3.700m depth which make it an ideal place to go fishing. Its geographical location, subtropical climate, ocean current and abundant marine life make Fuerteventura a great spot for fishing. 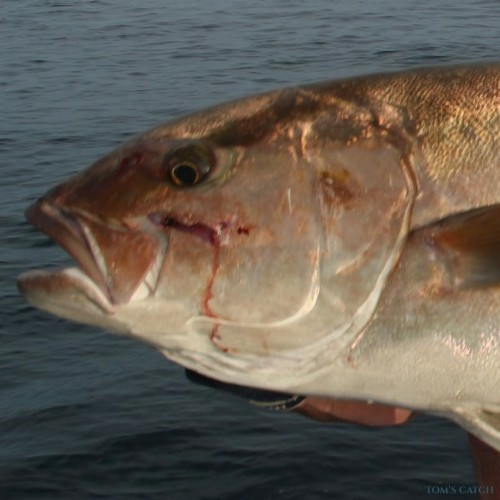 There are a large number of sedentary species that are fished throughout the year such as grouper, bonito, bluefish and amberjack and it is also an area of water that many migrating fish to pass through. 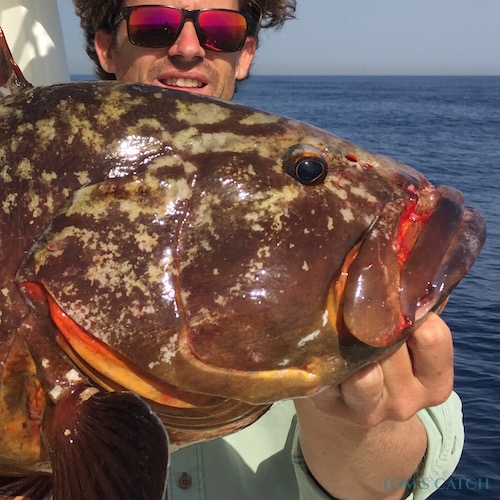 Whether you practice spinning, jigging, coastal trolling, bottom fishing or something more standard, the fishing possibilities in Fuerteventura are immense. In Fuerteventura, the rocky seabed and sandy areas are a real treat for fans of jigging. 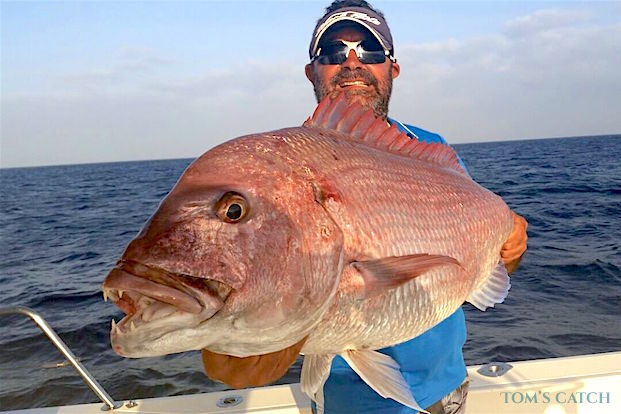 Wherever you go there are a number of areas with rocks and wrecks that are an oasis as they attract large numbers of fish, making Fuerteventura a perfect place to practice jigging. Throughout the season, you can practice this vertical fishing and can catch Atlantic bonito, grouper, wahoo, amberjack and barracudas. 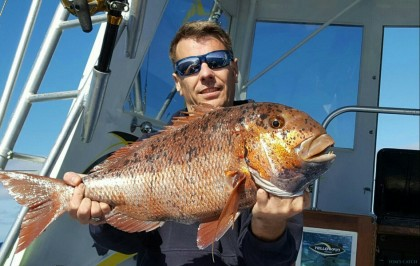 For the best experience, it’s advised to have a good fishing chart and guide to show you the area. 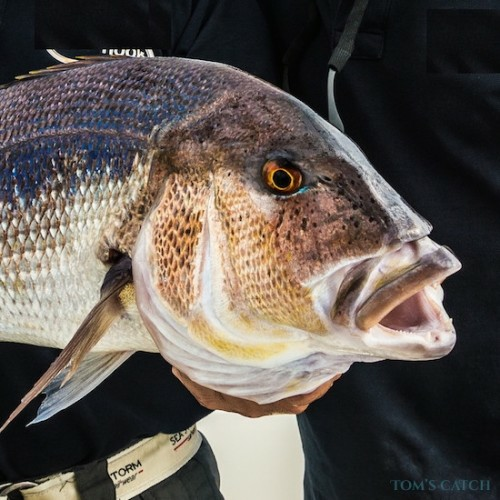 Whilst using the jigging technique in Fuerteventura, it’s important to know the tides and currents, the best place to drop the jig, the best time of day and the best kind of jig to use. If not, the chances of catching something become reduced. 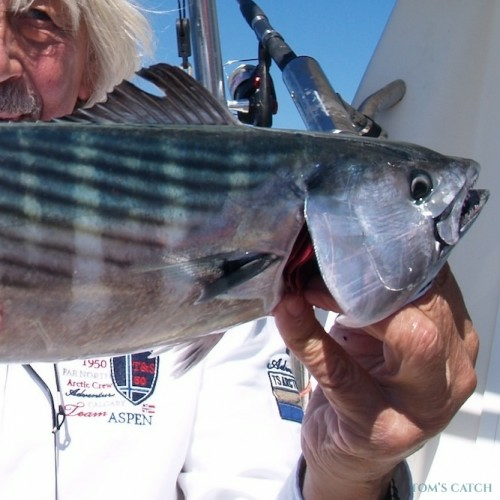 Trolling for fish of 20-30lb can be done with small lures whilst fishing in Fuerteventura. 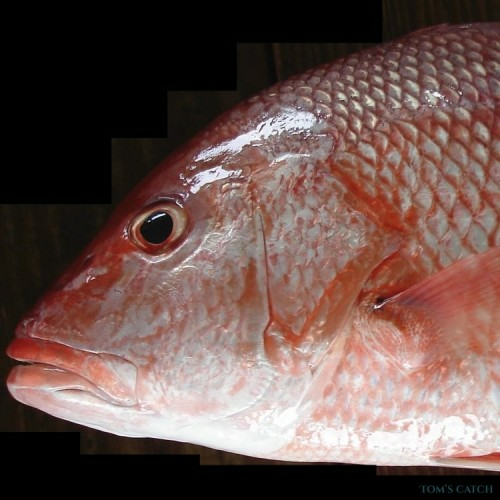 Depending on the season, different species can be caught including Red snapper, wahoo, Atlantic bonito, barracuda, amberjack, bluefish, albacore, tuna, gilthead seabream and bluefish. Fuerteventura is ideal for fishing at a short distance, as there are significant depths of water very close to the coastline. As you leave the port, you can begin to fish for blue marlin and dolphinfish which visit the waters of Fuerteventura from June to late October. Towards the end of the year, the bluefin tuna come to the waters of Fuerteventura, making the best time to fish for them autumn and winter. 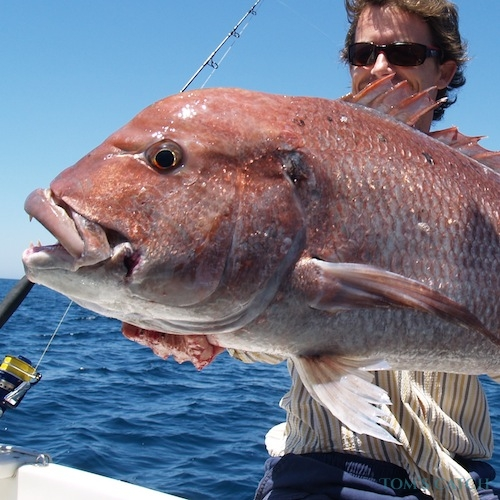 In September, there is an annual international fishing tournament at the port of Gran Tarjal. It’s the biggest tournament held in the Canary Islands and attracts anglers from all over the world. At this time of the year, the waters are filled with a large amount of boats. Blue Marlin: Blue marlin are usually found swimming in small groups in waters that are from 500m deep. This does not mean that they don’t come close to the port, as they can often be seen just 70m outside of the harbour. The best time for fishing blue marlin in Fuerteventura is from July to November. White Marlin: Typically, white marlin move in small groups or as several individuals in waters deeper than 100m. 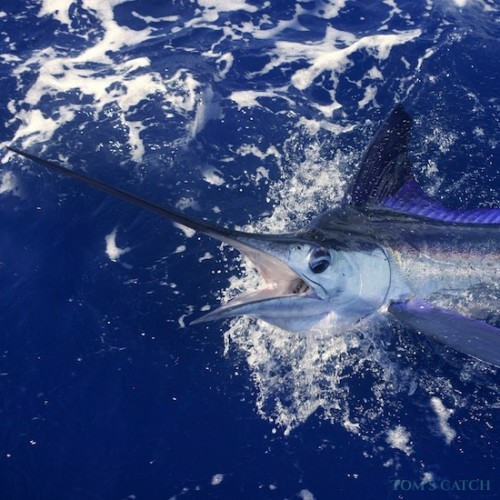 White marlin generally feed on fish such as cephalopods and crustaceans, and the best time for to fish for them is from July to November. 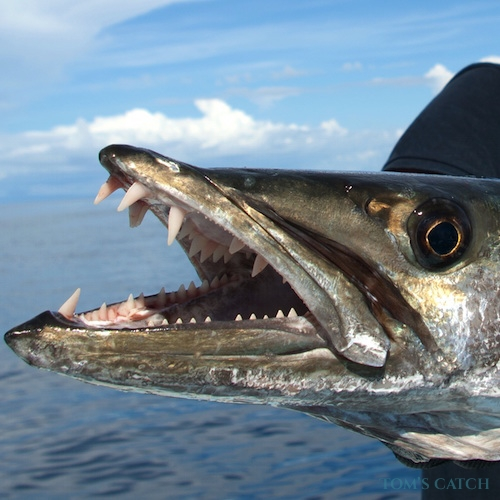 Wahoo: The wahoo can reach speeds of up to 95 km/h and is known as the fastest animal in the sea. 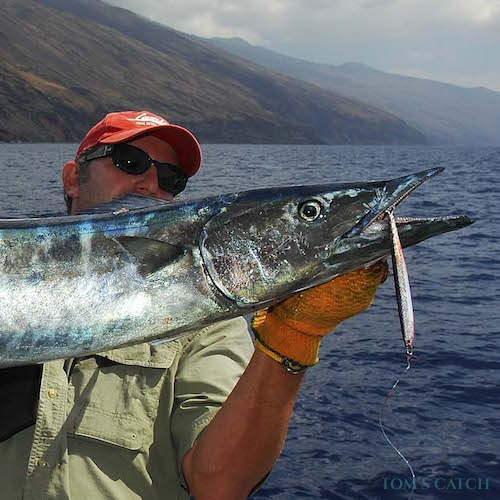 The wahoo can be caught mostly by trolling with lures and can be caught all year round. 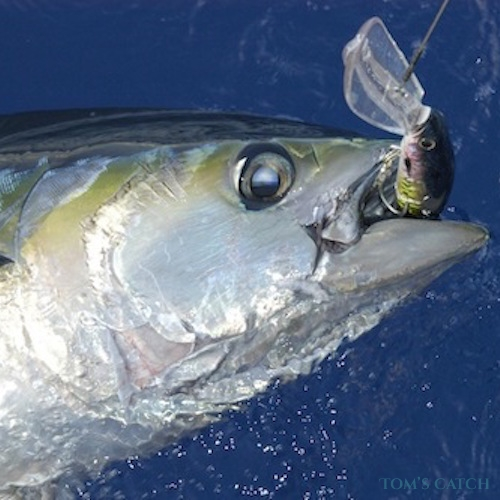 Big Eye Tuna: A born fighter that can endure a strong battle for several hours, the big eye tuna can be found in the Canary Islands and caught mainly by trolling with artificial lures and sometimes with natural bait. 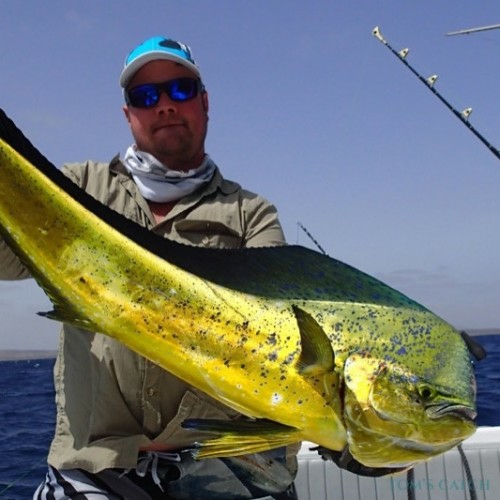 The best time to fish in Fuerteventura for this species is during the months of February, March and April. 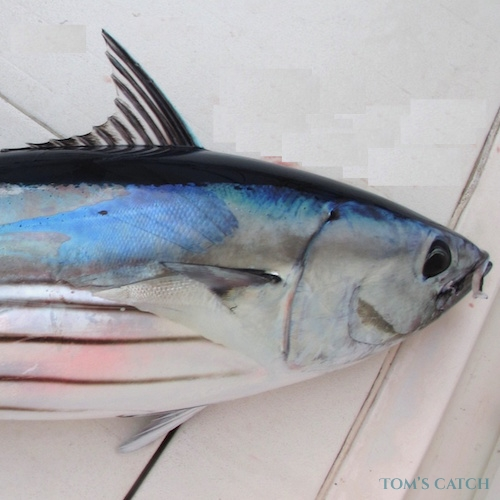 Albacore: Similar to the rest of their family, albacore are great fighters that will test your strength. 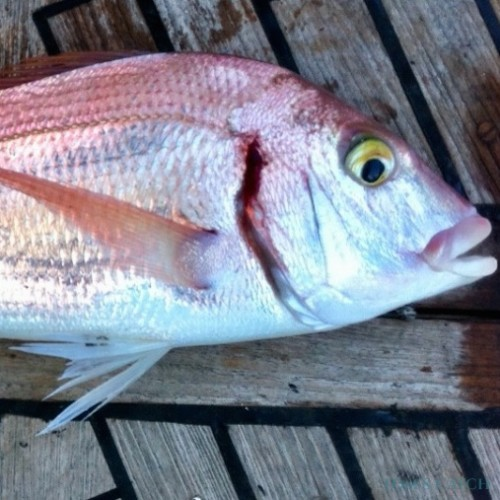 This fish moves with great speed, meaning that the best technique to catch them is trolling. Mounts with feathers and even octopus can work well too. 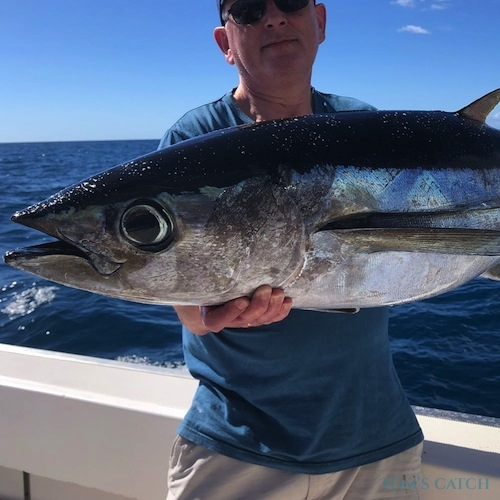 The best time to fish in Fuerteventura for Albacore is during the months of February, March and April, although there are also some catches throughout the year. Autumn and winter: During autumn and winter, fishing in Fuerteventura is often done whilst anchored or drifting and on the seabed. 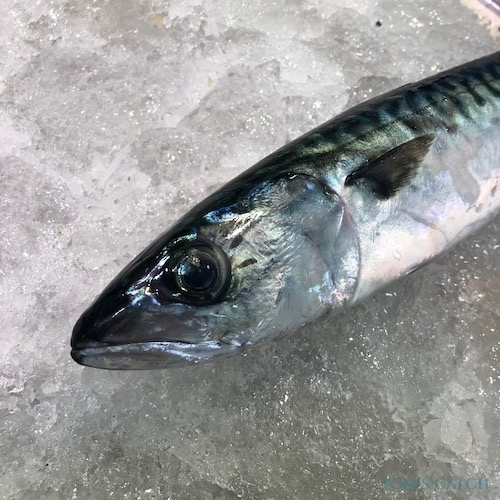 With natural bait, it’s possible to catch a variety of fish including sierra (Canary Island name for Atlantic tuna, in Latin sarda sarda), and with live bait such as mackerel, cuttlefish or squid, it’s possible to catch medregal (amberjack) and sama. 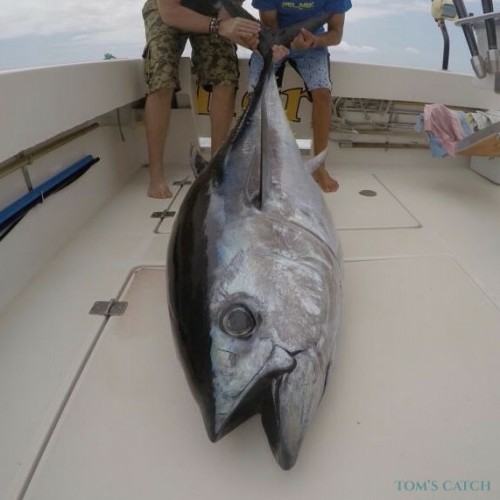 In winter it is possible to catch bluefin tuna, big eye tuna and albacore and this can be done by trolling, with lures or with large natural bait. You can also fish for tuna by drifting and using natural bait. 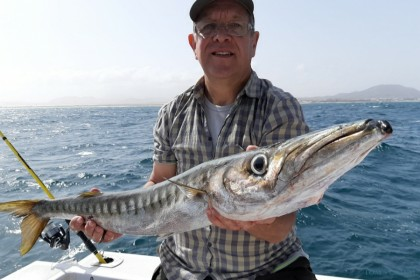 Spring and summer: Fishing in Fuerteventura changes a little during springtime as there is a stream of warmer water coming from the South to the Canary Islands, attracting an abundance of nutrients for small fish such as mackerel, sardine and alacha (the preferred food of Peto). 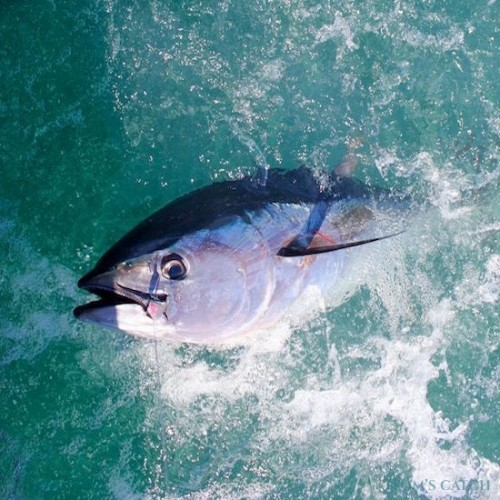 Albacore, Atlantic bonito, white marlin and especially the blue marlin also benefit. 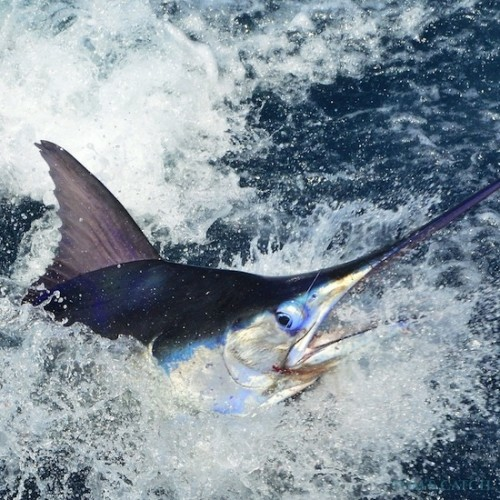 Billfishes visit the island from July to November, but the best months for fishing marlin in Fuerteventura are the months of September and October. At this time of the year, most boats use the trolling technique. 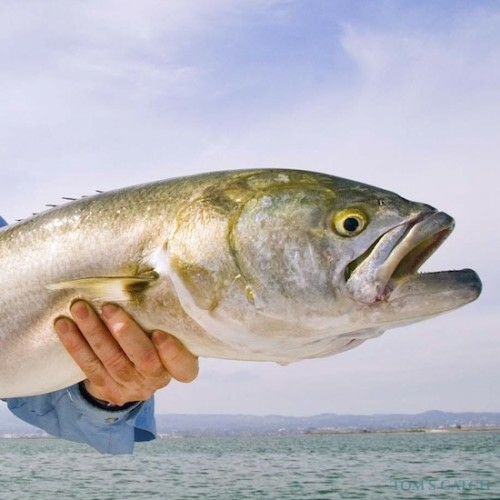 Travelling at a speed of 6-8 knots and dragging all kinds of lures such as octopus and squid, the lures are often skimming across the surface of the water, creating a trail of bubbles that attract even more fish.